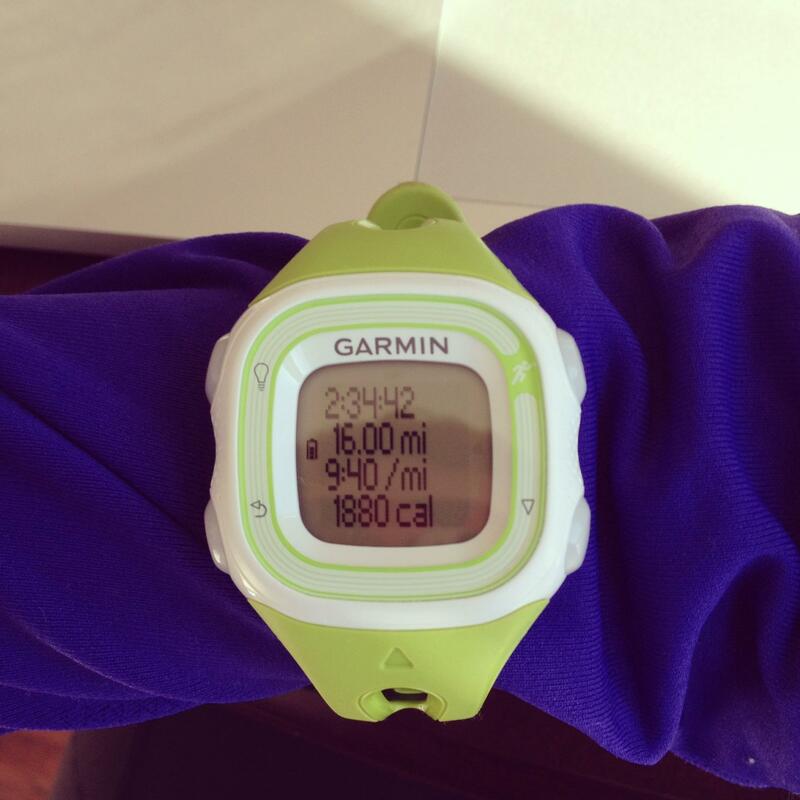 Big Sur Marathon Training: Week Three | Fit Girl. Happy Girl. Training went really really well this week! I hit some major milestones including my highest mileage week ever and I ran my longest long run ever- 16 miles! This was a really huge deal for me because it hasn’t even been a year since I started running (my run-iversary is March 8). It’s insane to see how far I’ve come in such a short amount of time. Monday: Cross-training day- Did 45 minutes of metabolic boot camp at the gym and was able to increase the weights I was using from last week. Tuesday: 3 miles easy in 26:19 at 8:46/mile. I did an easy lunch run with the whole Runner’s World crew after we finished out RW Building Run-Up (in honor of the Empire State Building Run-Up). I was second place female, no big deal. Really it wasn’t a big deal but it was fun. Wednesday: 5.3 miles in 54:00. This was the crazy hill workout again on 10th Street. I definitely felt an improvement climbing the hills this week over last week. I still had to walk about half of the inclines but was able to run more of it than the first time. Progress is all I ask for! Thursday: 4 miles easy in 34:40 or 8:39/mile. Ran during lunch with two of the other RW ladies and had a really great run! I always run faster with them which is nice. I also did 45 minutes of a gentle flow yoga class after work. The instructor mixed it up this time and did some newer poses that felt really great. Friday: Rest and foam roll. Saturday: 3.11 miles at 9:38/mile. My roommate and I decided to brave the Storm Nemo ravaged roads in PA (they weren’t that bad just really slushy) and go for a run. I was supposed to do my long run on Saturday but because the road conditions weren’t great I opted to switch it to Sunday. There was almost no shoulder on the road because the plows didn’t do the best job of removing snow so we ran on the snow almost the whole time, which slowed us down considerably but overall it was a great run. Sunday: 16 miles in 2:34:00 at 9:38/mile. This was my longest run ever and I felt surprisingly really good for the whole run. I wasn’t nervous going into the run because I repeated my mantra to prepare myself mentally, “Settle in for the ride.” My legs felt good and it wasn’t too cold so it was a lot better than last weekend’s long run. The route I took was really hilly but I surprised myself and was able to run all of the hills with no problem. The only time I doubted myself was at the very end, during the last 1.5 miles. I think I was just realizing how close I was to being done that I started to realize how tired I was. I think next weekend on my long run I need to fuel better. I only took one GU and some gummy bears, maybe two GUs next time? Live and learn, that’s what long slow distance training runs are all about! Overall, it felt amazing and I was really proud of myself! Elevation chart for the 16-miler.